Need a Lift? 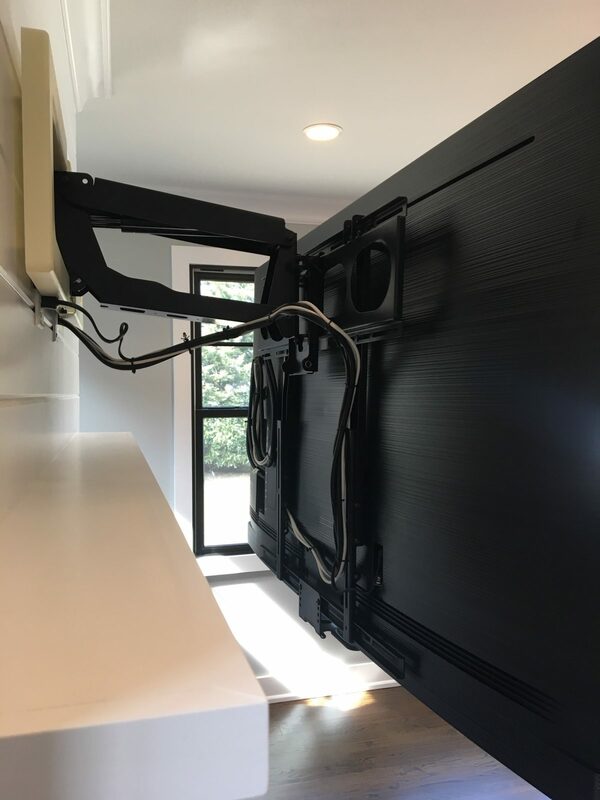 - Shea Communications Inc.
Building a custom TV lift is an SCI specialty. With the newest technology and our skilled workers we can make any of your dreams a reality. Shea Communications only uses the highest quality lifts and can put together a custom plan for any home. Indoors and out these lifts will hide your TV until you want it to be seen. This lift uses remote control to rise up out of the cabinet and can be manually swiveled side to side. Another great job done by the SCI team.